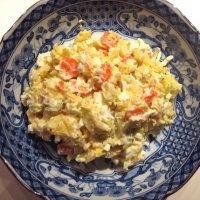 A wonderful flavorful twist on traditional potato salad...even mayo haters will LOVE it! It came from a great site called justhungry.com but I left out the cucumber because my family does not like it. Note: You can add chopped bacon or ham, if you wish. Boil the potatoes in their skin for about 25 mins. The last 10 mins add the carrot, unpeeled and the egg. When the potatoes are done, drain, peel, and slice them while still hot. Use a paper towel to hold. Cut the potatoes and carrot into slices. toss with salt and pepper and allow to cool. Remove the egg, peel and refresh under cold water. Peel the egg and chop finely. 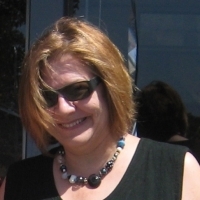 When the potato and carrot have reached room temperature. Add the celery and egg to it. gently fold in the mayonnaise. Chill or serve at room temp, but don't leave out in sun or heat. Serve in a nice big bowl or in individual rice bowls. I love the potato salad at my sushi place and this sounds just like it. Now I can make it at home. Hey httpmom, This looks great and sounds interesting and fun! I look forward to making it for a picnic or a bbq! Note: Japanese mayonnaise is found in many Asian Markets. 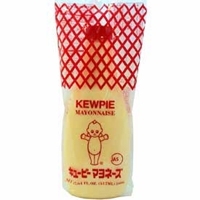 The popular brand is called Kewpie. It is made with rice wine vinegar and has a different flavor than real mayo. You can also make your own.